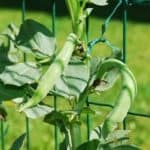 This guide on how to grow fava beans includes everything from planting fava bean seeds to harvesting fava beans. Fava beans are excellent when sauteed in olive oil or tossed into a salad. There are many varieties of fava beans, and whichever you chose you won’t be disappointed! They are easy to grow and do well in cooler climates, and one plant can produce pounds of fresh beans. 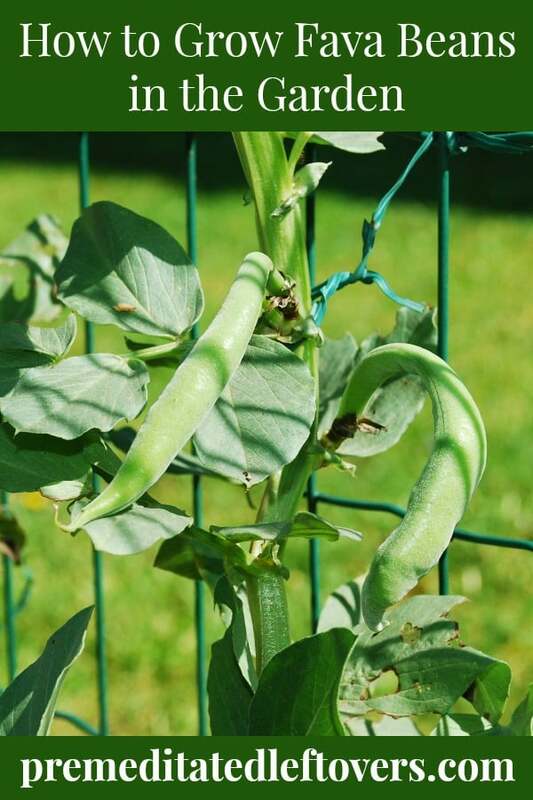 Look below at how to grow fava beans and see how easy it can be to grow a harvest of your own. While it is advised that you plant fava beans directly in the soil, you can start them indoors if your growing season is short. 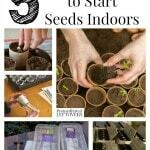 You should start seeds indoors about 6 weeks before the last frost of the season. Use nutrient-rich soil that drains well, and make sure your planting containers or peat pots have proper drainage holes. Seeds should be planted 1-2 inches deep and 3-6 inches apart. You want to keep the soil moist and make sure it doesn’t dry out. Keep the plants in a window where they will get at least 6 hours of sun and stay warm. You will see your fava beans sprouting in no time! 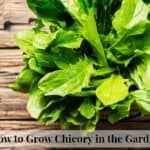 Once the seedlings are about 2 inches tall, you can thin them out and retain the stronger, healthier plants. These are the fava bean seedlings you will then transplant outdoors. If you wish to sow your fava beans directly in the ground, use the same planting and spacing guidelines as above. When planting in rows, be sure the rows are at least 12-18 inches apart. When you are ready to transplant your fava bean seedlings whether they be homegrown or store bought, there are certain things you want to keep in mind. Do not plant your fava beans until the soil is at a steady 70 degrees or higher. First, choose a spot that gets moderate sun, as full sun isn’t necessary. Soil should be moist, nutrient-rich, and well draining. Compost can help boost the nutrients in the soil, so just stir some in before planting. Make sure the planting hole is slightly larger than the depth and width of the root of the plant. 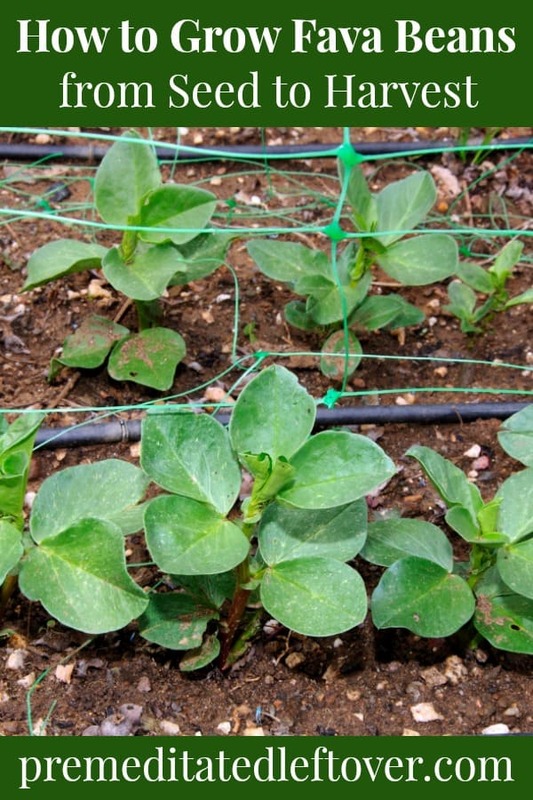 Fava bean seedlings will bush out, so be sure you are putting at least 10-12 inches between plants. If planting in rows, keep in mind again that rows should be 12-18 inches apart. This will allow them to naturally bush out and not feel cramped. You can grow fava beans in a container if you are concerned about having enough space. To grow fava beans in a container, be sure you have a roomy and well draining container. Add additional drainage holes with a drill if needed. To plant your seeds or seedlings, use the same planting depths as mentioned above. It is wise to use a container that is 4-5 times the depth of the root system. Keeping your seedlings most is even more important when planting in containers. Container gardens tend to dry out quickly, so you may need to water more frequently than you would if planting directly in the ground. Once your fava bean seedlings get up and running, there are a few things you need to do to ensure a successful growing season. Begin by offering a layer of mulch around the base of the plant so that it retains moisture and the roots stay cool. Water up to 2 inches of water per week, and be vigilant about weeding. Weeds can quickly smother your fava bean plants, so pull daily as you see them. Other threats to your fava beans include pests, both insects and furry critters who want to dine on them. Fine netting can help keep critters away, as can adequate fencing around the plant. To keep bugs away, a simple organic/food safe spray applied every few weeks and between downpours can help. Your fava bean seedlings will bush out, so there usually isn’t need for a trellis. If your foliage starts to break and bend, you can offer something like a tomato cage to help. Now comes the fun part, harvesting your fava beans! Fava beans take about 80 days to mature. You will notice they are bright green, plump, and about 6 inches in length. Once fava beans reach this size, pluck them right from the stem. If you allow them to grow any larger, they may become bitter or tough to eat. Fava beans are best when enjoyed right after (or within several hours) of harvesting. Store them in a cool place until you are ready to enjoy them. Growing fava beans can be fun and easy. Give these tips for how to grow fava beans a try and see if they don’t become your favorite bean!